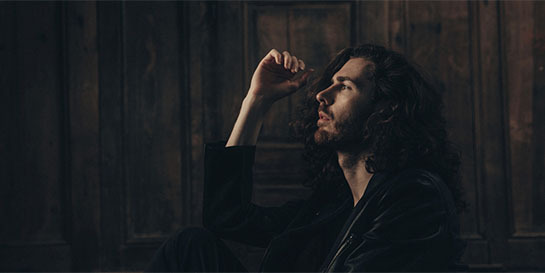 The announcement follows the release of Hozier’s two-track Spotify Singles session last week, which features a cover of Destiny Child’s Say My Name plus a new version of his recent single Movement - one of the key tracks on the new album. Just two months since its release, Movement has been streamed over 20.8m times and has become a fan favourite at Hozier’s live shows. Wasteland, Baby! also features the title track of Hozier’s 2018 EP Nina Cried Power, the song having been included in Barack Obama’s ‘Favourite Songs Of 2018’ playlist and the subject of the Song Exploder podcast’s first episode of 2019. Hozier has also announced the European leg of his Wasteland, Baby! Tour, with his recent UK dates receiving widespread acclaim - The Independent described his Hammersmith Apollo show as “a tantalising glimpse of what’s to come in 2019”. Island senior marketing manager Angela Grech says “It’s been a long time coming (for both us and Hozier fans) but we are so excited to finally announce this stunning new record from Hozier. Andrew is just one of those great artists who is a true master at his craft and his intelligent & meaningful song writing across the themes he explores across the Wasteland, Baby! body of work, make this an unmissable album for 2019. The new record is Hozier’s second album following his critically acclaimed platinum self–titled debut, which has now amassed over 2.1bn streams on Spotify alone.